It is with regret that we have to announce that our rector, Andrea Watkins, will also be leaving us shortly for pastures new. Andrea joined the benefice in September 2011 and we had hoped that she would be with us for a few more years, but it seems the bishop had other ideas! Andrea has been a wonderful rector. She has introduced us to many different types of service, worship activities and classes and has been keen to bring church out into the community. She has overseen a period of growth in the benefice, improvements to our church buildings and has encouraged many people to pursue various ministries through her ability to recognise and nurture spiritual gifts in others. She will be missed. 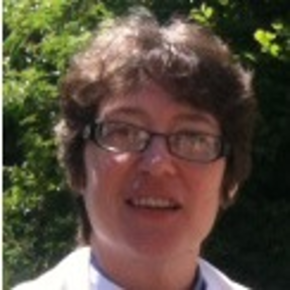 Andrea will be taking up her new post in the Spencer Benefice sometime after Easter. We wish her and Peter all the best. 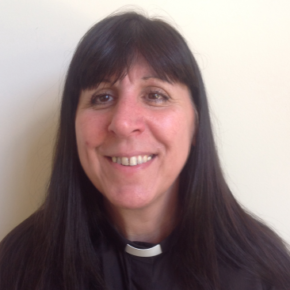 It is with mixed feelings that we announce that our curate, Sue Cooper, will be leaving us sometime in March to take up her first post as rector of the Astwick Vale Benefice. Whilst we are thrilled that she has found a suitable position in the area she wanted to be, we will miss her terribly. It has been a delight and a privilege to have her with us these past few years. She and Nick will be moving to Aynho and we wish them both well. This year for the first time, our Harvest Festival included a lay-led service followed by lunch. Unfortunately the marquee left up for the event was damaged in the gales, but Richard & Lulu kindly stepped in and offered to host us in their home. Richard barbecued some lovely meats provided from his shoots and the PCC provided salads and puddings. 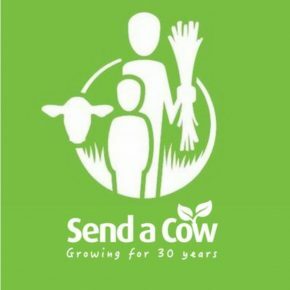 As always the money raised from the sale of produce, as well as donations for the lunch this year too, went to Send a Cow, who are celebrating their 30th anniversary this year. The sum of £138.00 was raised and sent to their harvest appeal. A huge thank you to everyone who came along to this lovely occasion and contributed and especially to Richard and Lulu for their generosity and hospitality. 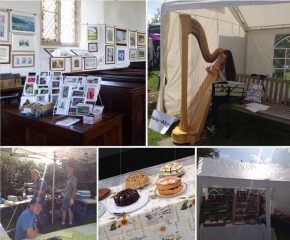 A fabulous Art Festival this year, which raised in excess of £6000.00 for church funds. Our thanks go to Charlie Reece and the organising committee, as well as to all of the exhibitors, stall holders, villagers and friends who contributed in so many ways and not least to all of our visitors who helped to make this our most successful Festival ever. This year our Lent Appeal was in aid of the Northampton Hope Centre’s new Food Club initiative. 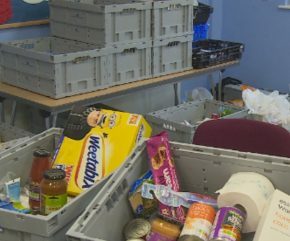 There has been a rise in the number of people using food banks around the country, but a scheme from the Northampton Hope Centre offers a new way of tackling food poverty. The Hope Food Club aims to support people on a very low income, by allowing them to register as members and then buy food at very low cost. A total of £79.01 was raised for this very worthwhile cause. 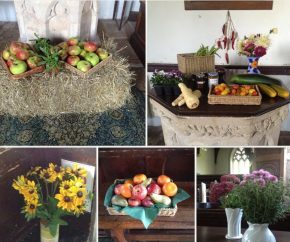 A lovely traditional Harvest Festival service in church this morning and the sale of produce raised £121.20 for the charity Send a Cow. 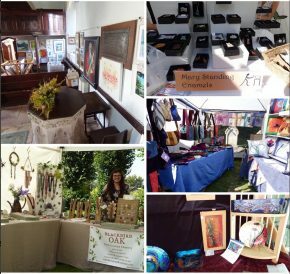 Another successful Art Festival again this year over the weekend of 2nd/3rd September, with a very happy atmosphere. Beautiful weather on the Saturday brought in lots of visitors; quieter on Sunday but still a steady stream. A fabulous exhibition of paintings, with David Wells’ Black Cat winning the People’s Choice award and many pictures sold. Lovely music courtesy of Holly~Alice. An amazing BBQ and the usual fabulous selection of cakes. Lots going on in the churchyard with a grand prize draw, white elephant, book and home produce stalls and a great selection of crafters. All that and it raised in the region of £4000.00 for church funds too. Many thanks to all who helped in any way and to all our visitors. Roll on next year! 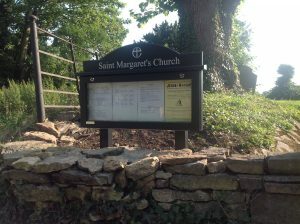 Finally, after over a year of wrangling with South Northants Council about the size, position and materials, our new noticeboard is in situ. This website is currently being developed and new information is being added all the time. If you have any comments please contact us.